The liveliest cities and neighborhoods don’t happen by accident. We all have the ability to shape our communities through vision and leadership – but it also takes investment. Sometimes a little money is all that stands in the way of turning a good idea into a great project. Does your favorite natural area need a little love? Does your school need money for trips into nature? Do you have an idea that will help local rivers and streams? 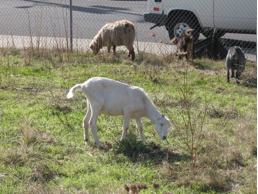 Metro’s Nature in Neighborhoods restoration and enhancement grants connect people to their neighborhoods, natural areas, backyards and beyond. 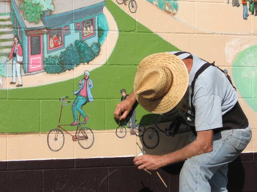 We look for thoughtful projects that help strengthen the community, involve residents and deliver results. Proposals are accepted from nonprofits, or from an individual, business or group that has an agreement with a nonprofit fiscal agent. A pre-application is the first step. The deadline to submit a pre-application is 4 p.m. Tuesday, Jan. 18, 2011. Funding requests can range from $5,000 to $25,000 for hands-on activities and environmental education programs that protect and contribute to watershed health in the 25 cities in Clackamas, Multnomah and Washington counties. 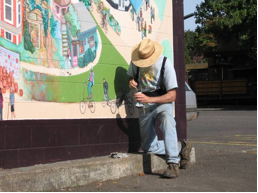 Visit Metro’s website and review the program information packet for more details: http://www.oregonmetro.gov/grants. New this year is the introduction of planning and project development grants. These grants are for organizations and community groups that need support developing partnerships to tackle bigger projects or that lack the financial and technical resources to develop proposals beyond the conceptual or master plan phase. Planning and project development requests can range from $5,000 to $15,000. Up to $30,000 total will be awarded for these proposals this year. Don’t let the fear of grant writing be an obstacle. If you need help with your application, attend Metro’s free grant-writing workshop geared for first-time applicants. The two-hour session begins at 9 a.m. Saturday, Nov. 13 and will include practical advice, examples of successful projects, time to network with others and much more. Contact Metro for workshop details and to reserve your place by calling 503-797-1834 or e-mailing kristin(d0t)blyler(at)oregonmetro(dot)gov. This is your opportunity to bring a little more nature into YOUR neighborhood! Portland Fire & Rescue (PF&R) is handing out free smoke alarms to owners of single family homes in Portland through November 30th. As fire agencies statewide join together in support of the 2010 Fire Prevention Week theme, “Smoke Alarms: A Sound You Can Live With”, PF&R wants to reinforce the message that fire safety starts in the home. Through November 30th, single-family home owners can visit any Portland Fire Station and receive needed smoke alarms free (for self installation). To find a list of fire station locations in Portland, visit: http://www.portlandonline.com/fire/stations. Fire Prevention Week is observed annually throughout the United States, marking the anniversary of the Great Chicago Fire. This fire destroyed a four-mile long part of the city and killed 250 people on October 9, 1871. 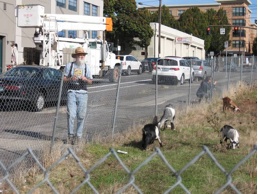 You’ve probably noticed the furry friends grazing in the vacant lot at SE 10th Avenue and Belmont. 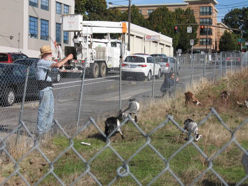 They’re owned by Goat Rental NW of Damascus, and were hired by Vancouver realtor Killian Pacific – and their landscape company, GreenWorks – to clear the lot. BCA board member Adam Zucker recently took some photos of them doing what they do best. 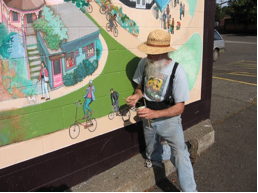 Local artist Joe Cotter is continuing work on the Buckman community mural on the south side of the Plaid Pantry building at SE 12th Avenue and Morrison. BCA board member Adam Zucker recently stopped by and captured some photos of Joe’s progress. Joe hopes to be finished soon (as in, before the heavy rains come). The new fee will be rolled out with the next round of leaf sweeps, starting the first of November. As Buckman is within a leaf-removal zone, Buckman residents and property owners will be affected by this fee. The leaf fee bills will be sent out as stand-alone billings, and neighborhoods will be informed before the process begins. This is the first in what will be a regular new feature on the BCA blog. From time to time, the BCA receives notices from the city about OLCC liquor license applications in the Buckman neighborhood. 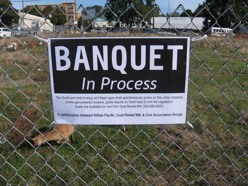 When we do, we’ll post the details here, so you know about proposed new establishments in our neighborhood. License Type: Distillery License; allows the holder to import, manufacture, distill, rectify, blend, denature and store distilled spirits. A distillery that produces brandy or pot-distilled liquor may permit tastings by visitors. Notes: This applicant already holds a Wholesale Malt Beer and Wine License. They are applying for the additional privilege of a Distillery License. This is not a retail sales location. Additional information provided by applicant: We are an existing wholesale distributor applying for “additional privileges” to become “vendor of record” for an existing product in the marketplace. Starting this month (October), the BCA general meetings will have a new location. Except it’s really an old location. Confused? Don’t be. We’re just moving from Buckman Elementary School back to our former location, Central Catholic High School. The high school is located at 2401 SE Stark Street. Meetings will take place in the school’s library, from 7-9pm. It’s a great space, and we hope to see you there! Meetings will continue to be held on the second Thursday of every month, with one exception. Thursday, November 11th, is a national holiday, so November’s general meeting with be held on the third Thursday, the 18th. The time and location will be the same. 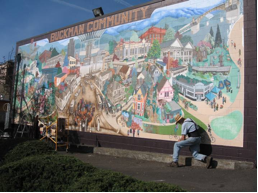 You are currently browsing the Buckman Voice blog archives for October, 2010.